A late goal from Jason Puncheon plus a Dwight Gayle penalty cancelled out Harry Kane's superb opener as Alan Pardew's side prevailed in a rocking Premier League encounter. Selhurst Park roared in anticipation of Alan Pardew's first home match in charge of Crystal Palace under the vibrant effulgence filled with aroused spectators attending. The hosts spent early stages of proceedings chasing Spurs who were shielding themselves and holding onto possession superbly. Sneaky chips, slips on the edge of the area with in-form striker Harry Kane lurking provoked huge concentration levels of Palace's back line. Dembele racked up the visitors' first shot, however it was thumped well wide from 25-yards in which no one expected him to score from anyway. Warning sign to Speroni in goal for Palace. Palace began to just edge their way into the game a few minutes following Spurs' spurge forward. The midfield maneuvered the ball around with control and maturity which eventually cracked open a chance for Palace. Murray latched onto a short cross, but his header vaguely strayed wide of goal. Best chance of the game saw Pochettino's men display their full talents and exciting philosophy. Townsend dummied a shot, and slid a cracking pass through to a scorching Walker on the overlap. The right-back squared to Eriksen who was at close range, but the Dane agonizingly sliced wide. Gayle drifted out wide and lashed in a terrific cross; enabling McArthur to pound a header but it was however, just over the crossbar. What a chance. Half an hour gone, and Pochettino's men began to take control with their passing game and sharp breaks down each channel. Palace held their own, but not much for them to shout about. Pardew's men played scrappy, but effective while attacking. 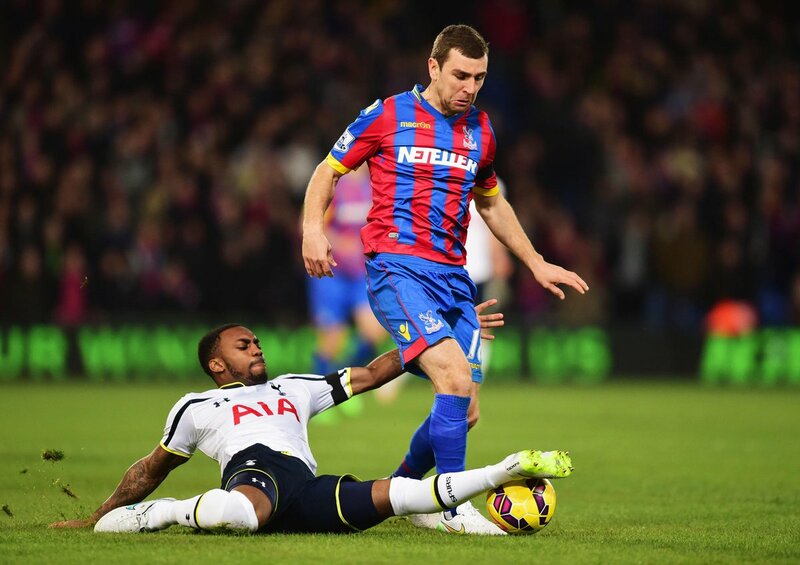 McArthur slid Murray into a scoring opportunity, but the front liner's effort was thumped into Lloris' grasp. 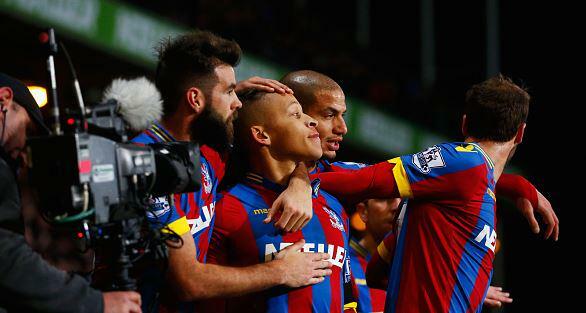 Palace carried plenty of ambition moving forward. The half time whistle sounded, with both teams stuck in a stalemate. First 20 minutes of proceedings failed to ignite energy and entertainment. However, the game picked up mid-way through the first 45; several chances falling but frustratingly, none being taken. Pardew seemingly the happier of the managers. His back line had been tight, blocked out any threats and gathered plenty of possession too. Scramble in the area began proceedings with Gayle attempting a shot at goal but the Palace man slipped and eventually, Lloris gathered the ball and halted any danger. Chadli, at 25 yards, did a terrific job in shielding a bunch of defenders and stabbed a pass to Kane who was perched at the edge of the box. Instant danger for Palace, and the youngster proved why. He swiftly turned and unleashed a sweet shot that drilled straight past Speroni and into the bottom left hand side of the goal. Superb strike. Palace responded well, and molded a sharp attack together. While on that particular attack, they were awarded a fee kick. Dann mischievously launched the ball inside, and it fell to Gayle. With his back turned, he lashed an ambitious scissor kick at goal which Lloris did well to keep out. Stambouli recklessly lunged in on Ledley inside the box, and cost his side a penalty. Replays showed he initially touched the ball but tagged the Palace man's ankle aswell. Dwight Gayle stepped up.. and absolutely leathered it into the left hand corner that gave Lloris no chance of saving. Emphatic would be an understatement. Substitutions galore with just 20 minutes and less to go, as Zaha came on for Murray while Pochettino made two changes; Townsend made way for Capoue and Soldado replaced Stambouli. Kane displayed his magnificent dribbling skills as he easily skittled through the Palace back line until authority prevailed and stopped him in his tracks. Both teams went all out in the final 10 minutes. A huge penalty shout as the ball allegedly struck Walker on the arm, however no decision followed. Palace were so adamant, maybe too much as Puncheon learned his protests were too boisterous, leading to the referee booking the Englishman. Zaha scorched down the left, with energy running through his veins. The youngster crossed in to Jason Puncheon in the area who swung his left boot at the ball and sizzled it past a beaten Hugo Lloris; provoking a raucous response from the home fans. Spurs did all they could to deny Palace, with lofty balls stretching Pardew's back line. Kane latched onto one of those, but his vague header was calmly gathered by Speroni. Fantastic result for Alan Pardew's men after the disappointment under Neil Warnock. This is the time for them to push on in their campaign after such a dazzling performance. A full match report for Crystal Palace vs. Tottenham, contested in the Barclays Premier League on Saturady 10 January 2015.